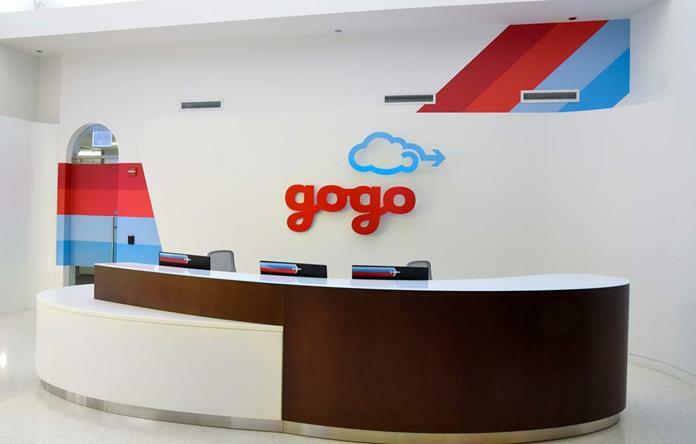 Friedman Fine Art is pleased to present the branding graphic program for gogo. 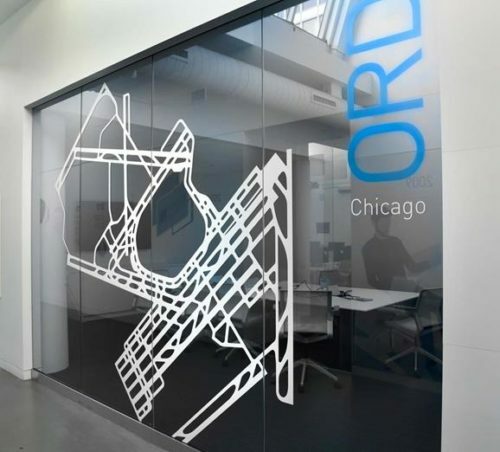 Friedman Fine Art has been developing corporate graphic walls, history donor walls and institutional art for the past 40 years. 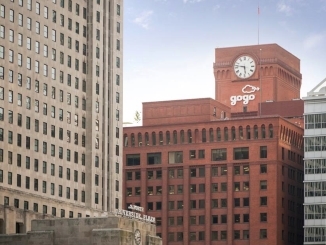 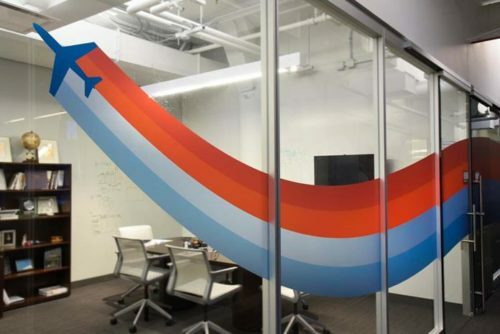 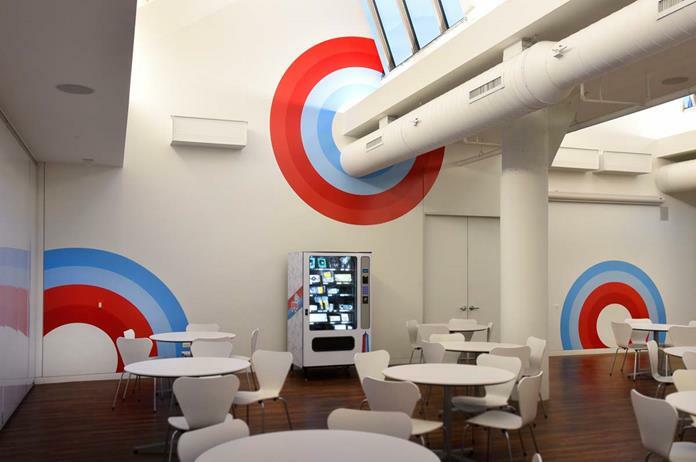 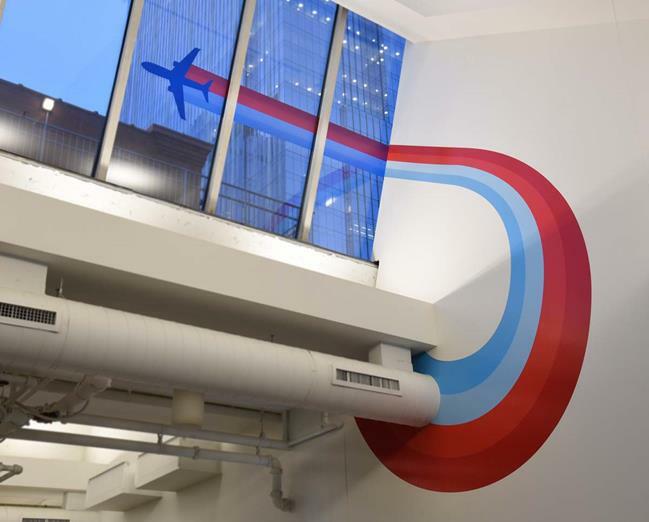 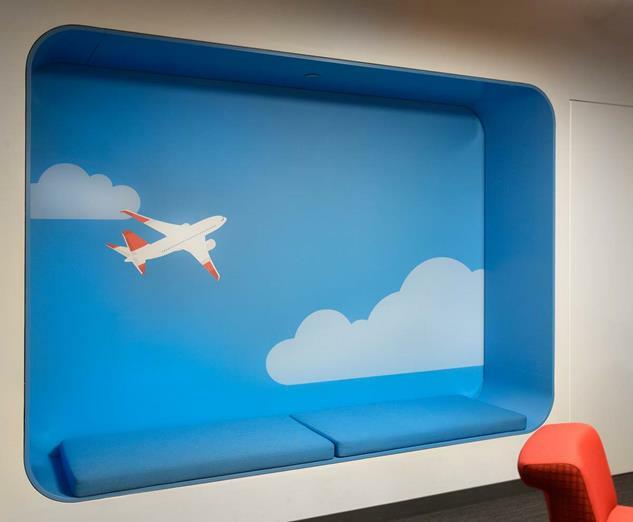 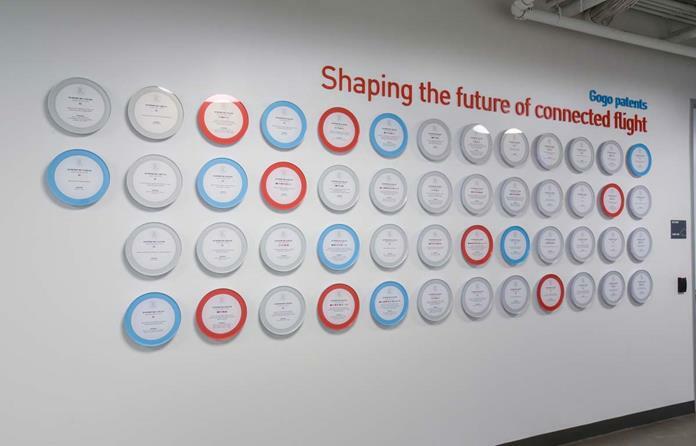 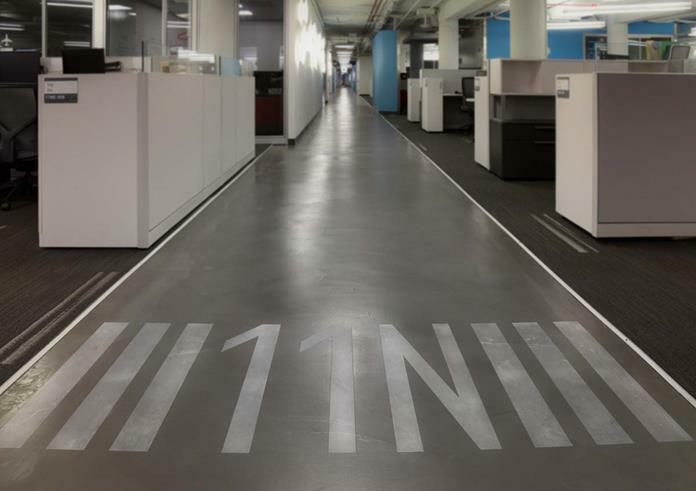 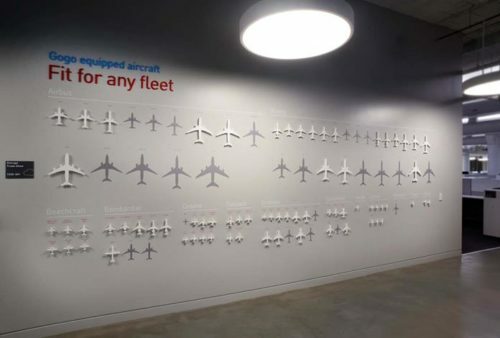 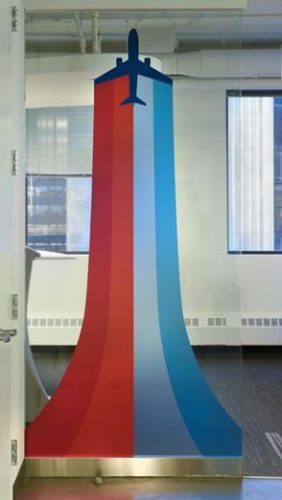 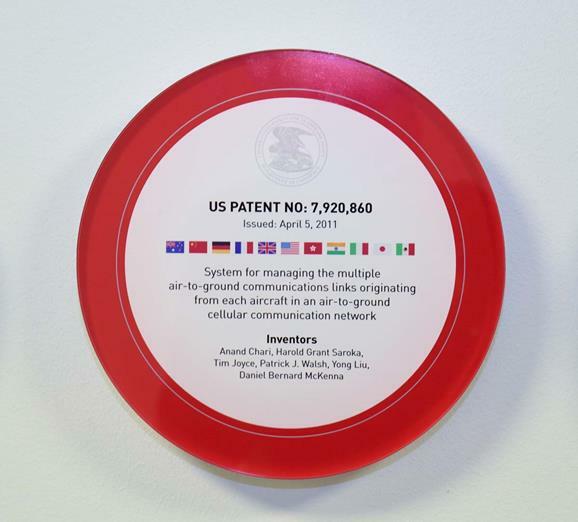 gogo is the leader in in-flight connectivity and wireless entertainment services for commercial and business fleets around the world which recently relocated its corporate headquarters to 257,000 square feet at 111 North Canal Street. 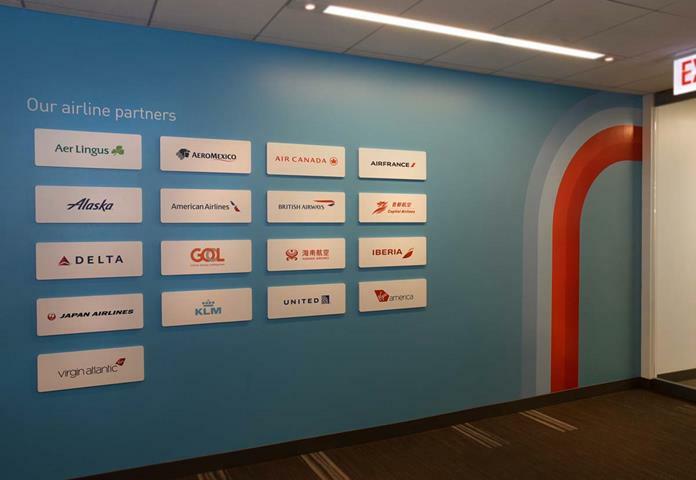 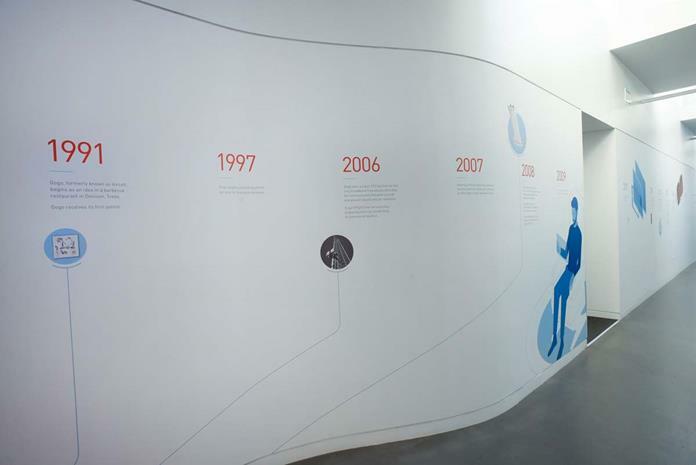 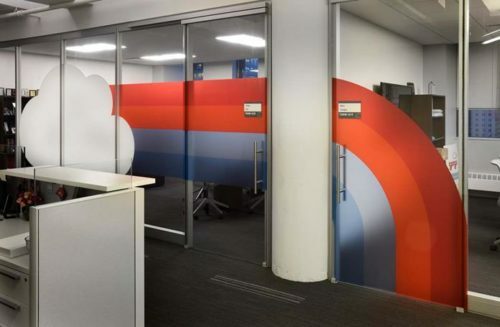 The program consisted of vinyl and fabric wall covering along with dimensional graphics all featuring their corporate branding icons.